Looking4Parking! VIP Parking is an established family business that strives to give the ultimate in service for Meet and Greet Parking and valeting services. Operating 24 hours a day at all terminals, they understand the importance of being flexible and easy to use. Day By Day will make your parking arrangements as easy as possible to make sure that the experience of parking your car and travelling goes smoothly. The service is specifically designed with you in mind to take away the hassle of parking your car each time you visit Manchester Airport. Drivers are all uniformed and carry identification so you know exactly who your meeting. Please note:All customer orders will be charged a £4 vehicle entry and exit fee by Manchester Airport which Manchester VIP will not be liable for. 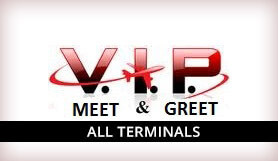 No transfers are needed, Manchester VIP (Day By Day) Meet & Greet will be an excellent alternative for disabled customers who would find it difficult to use transfer buses. Your car is collected from the terminal when you leave, and brought back to you at the terminal on return. Please note: There have been some recent changes at the new super T2 terminal at Manchester airport, this has resulted in the designated vehicle collection area on return now being 200 metres away from the main terminal doors. The client will pay any expense incurred by VIP (Day by Day) Parking for Extended Stay by the client (At a rate of £5 per day). Please have a copy of the confirmation details with you on your day of travel. Please note: The time you have booked on your booking confirmation, is the time the chauffeur will be expecting you to arrive at the airport. if you are going to be late or early, please call VIP and let them know. Please note: All customer orders will be charged a £4 vehicle entry and exit fee by Manchester Airport which Manchester VIP will not be liable for. MAXIMUM STAY IN FORECOURTS IS 10 MINUTES; IF A VEHICLE REMAINS ON THE FORECOURTS IN EXCESS OF 10 MINUTES THEN AN OVERSTAY CHARGE WILL APPLY OF £25.00. Approved by 'Buy with Confidence' from Trading Standards and has been awarded with the Park Mark. Simply arrive at your departure terminal and let VIP take care of your car. All you need to do on the day of your travel is to give VIP's chauffeur hotline a call when you are 10 - 15 minutes away from the airport . Then make your way to the departure area of the terminal you are flying from and a chauffeur, dressed in a Black and Orange T-Shirt will be there to meet you. On your return to the UK. When you have cleared customs and collected ALL items of luggage, please call VIP and so they can guide you to the meeting point to collect your vehicle. Manchester Airport is roughly 20 minutes drive from central Manchester. On the M56 motorway, Manchester Airport has a dedicated link road from the motorway at junction 5. Directions to terminals are well signed from all approach roads with colour-coded cubes indicating the best route to each terminal and its car parks.